Folks from across Canada and the U.S. who were at Ag Days in Brandon recently had the opportunity to listen to a variety of different speakers during the event and Redfern Farm Services did just that! We spent some time at a few different speakers and will be providing some interesting tidbits from each presentation right here on redferns.ca! 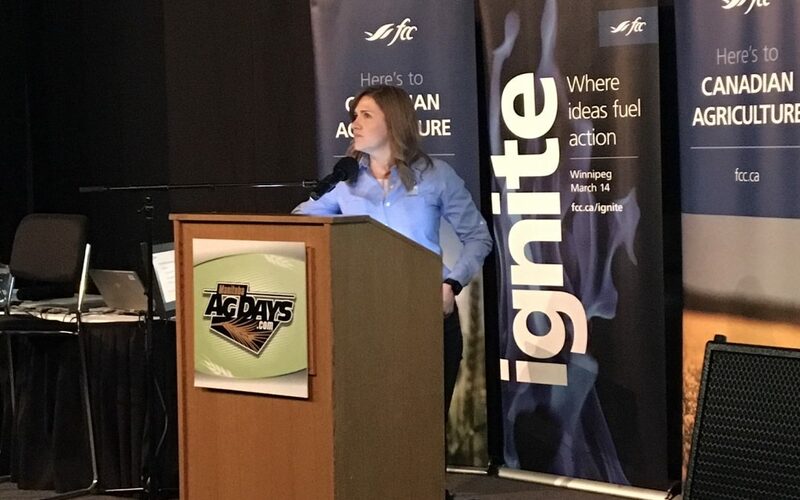 Angela Brackenreed, agronomy specialist with the Canola Council of Canada, was one of the speakers Redfern Farm Services listened to during Day 1 of Ag Days in Brandon. 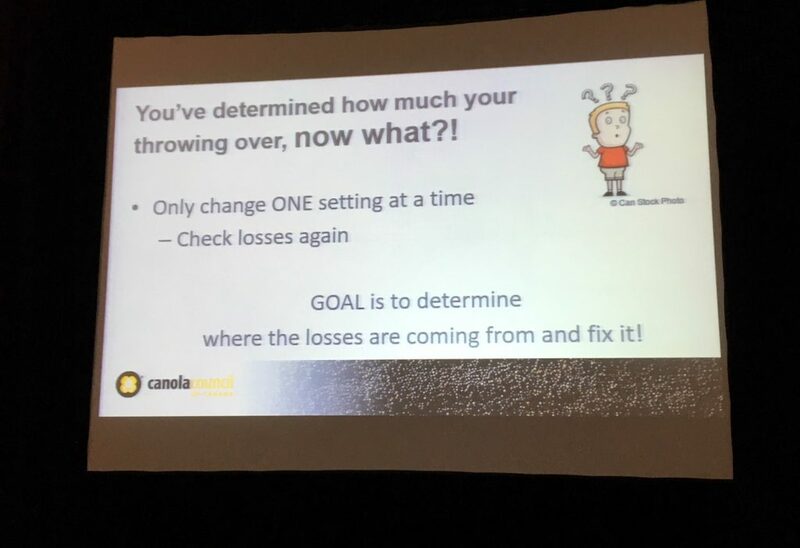 Her presentation, entitled, “Measuring the Dollars and Cents of Harvest Loss” at the FCC Theatre on Tuesday morning focused on the economic impact of canola harvest losses to your farm. Brackenreed went in-depth on the source of harvest losses and how growers properly measure and quantify those losses. But before Brackenreed centred her presentation around harvest losses, she wanted to let people know what Manitoba produced in 2018. In the province, an average yield of 43.3 bushels an acre was produced, while canola was grown on 3.4 million acres. In the prairies, our average yield was 39.8 bushels per acre which was produced on 22.5 million acres of land. 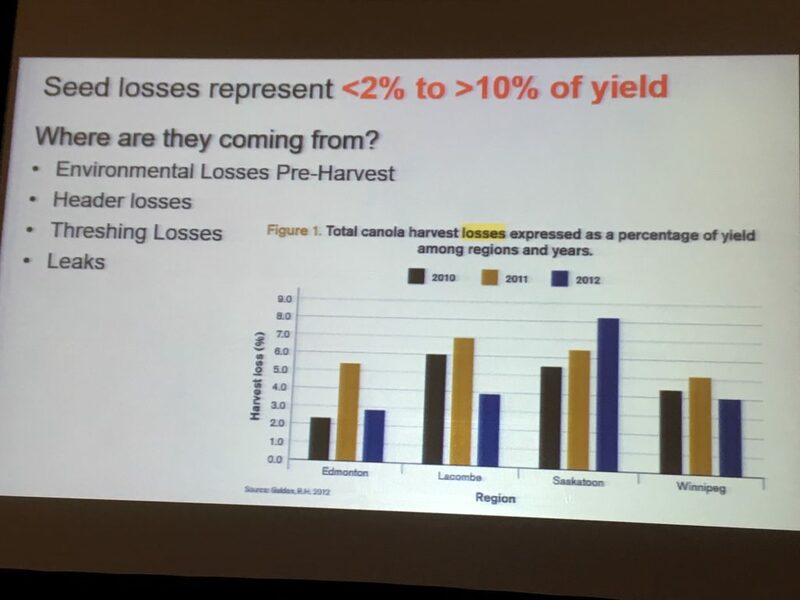 Producers lose yield for all sorts of different reasons, Brackenreed said, adding that this past year in Manitoba, yields were lost because of moisture or lack thereof. She says a certain degree of loss is inevitable and inherent. One of Brackenreed’s slides provided a glimpse into what the average total season long loss can look like. “We actually saw some fields at less than two per cent of total yield (loss) and that’s quite low, but some fields much higher than 10 per cent in some cases,” she said. The losses, she says, were coming from environmental losses pre-harvest, header losses, threshing losses and potentially leakage as well. So… what is it worth? In the interest of shock value, Brackenreed went with the higher loss number of 10 per cent in her presentation slides. 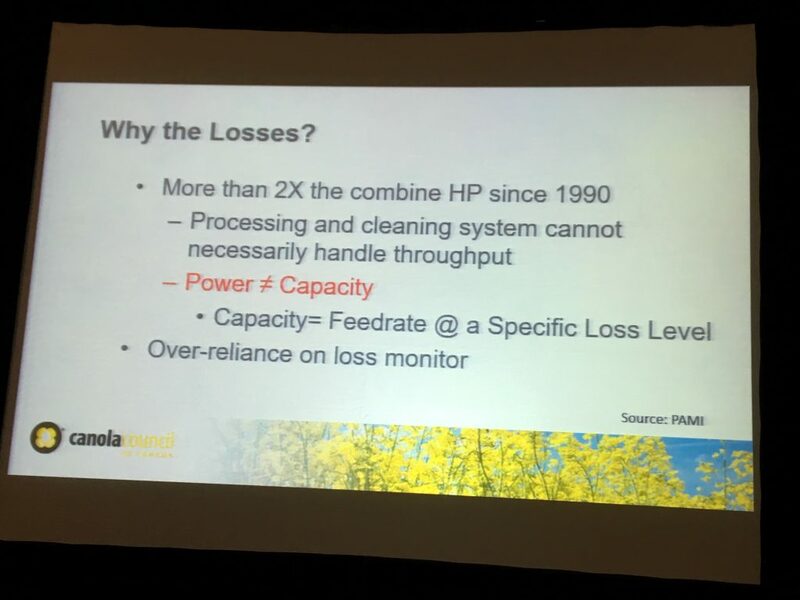 At a farm level, on a 2,500-acre farm and considering 30 per cent of acres are canola, that’s worth about $34,102 in total losses to that farm. “I’ve seen farm books and I know that this isn’t a huge number but it’s significant. There’s value there,” she said. What does that look like on a 3.4-million acre canola farm? The slide shows $154,598,000. The following are some slides from Brackenreed’s presentation. This is just a glimpse into what the speakers at Ag Days can provide – and Redfern Farm Services encourages folks to check out as many speakers as possible as they all provide information that can only help you, the grower!